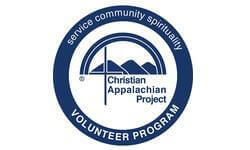 Christian Appalachian Project (CAP) AmeriCorps members commit to direct Service, intentional Community, and Spirituality/reflection in Appalachian Kentucky. Caseworkers provide short-term emergency assistance, including food, utility assistance, household goods, and clothing. Family Advocacy caseworkers are often a participant’s first contact with Christian Appalachian Project—they assess the needs, provide any necessary short-term assistance, and make appropriate referrals to other CAP programs or community agencies. In addition to the responsibilities above, this volunteer takes applications for CAP’s Housing program. Although August is our preferred admission time, members may also begin in October, January, or June.